Britains quickest and easiest to use Tow Car A-Frame! 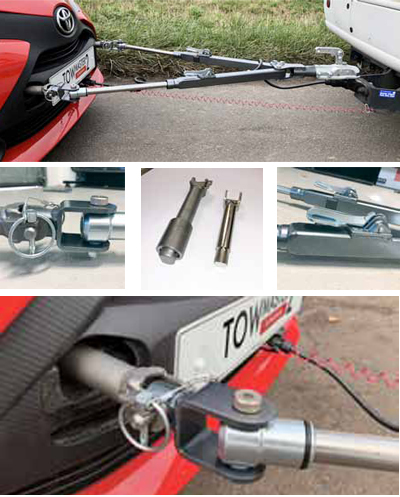 Jacques Towbar Services are North Yorkshire’s Towmaster fitting agents. The towmaster A-frame is best A frame on the market and we specialise in supplying and fitting Towmaster / LNB A-Frames. Towmaster A-frames are renonwed for their qualiyt and reliability. Contact us today to discuss our motorhome A-frame fitting services. ■ Stainless steel construction in virtually every moving component for smooth, trouble-free operation. ■ Autowlok locking mechanism allows both A-frame arms to extend or retract for a quick connection. As you drive away, the arms self-centre and automatically lock. ■ Self-lubricating nylon bushings eliminate friction between the inner and outer arms. ■ Bake-on powder coat finish – charged particles of pigment are baked into the surface of the A-frame. They fuse to the metal to form a lustrous, uniform and extremely durable finish. ■ Computer-designed and tested for structural integrity, longevity and safety. ■ Designed for strength, longevity and ease of use. ■ Easy to assemble in less than 2 minutes. 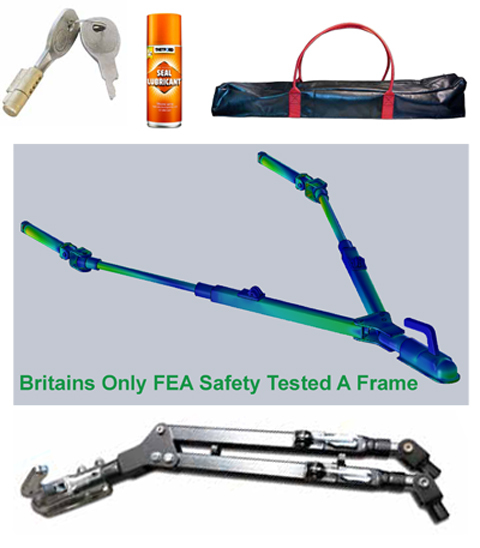 ■ A frame is 1.2m long to avoid jackknifing the towcar on the motorhome. ■ Folds away for storage in the boot. ■ Does not interfere with the NCAP safety properties of the towcar. ■ Allows for the easiest coupling, even on your own. Excellent. Service from first call to fit. Plus much appreciated advice for a towing novice. Just hope Steve is not suffering same sunburn pain as me this morning?